The safety and well being of our students is our top priority. Whilst any form of travel abroad carries a certain level of risk, we make every effort to minimise those risks through a vigorous programme of risk management and education. All our programs provide a pre departure orientation, on site orientation and continuous on site support to participants. Knowing what to expect, appropriate behaviour and how to stay healthy ensures our participants are well prepared and knowledgeable of the local environment & customs before they even arrive in country. Our on site orientation provides participants with the knowledge and tools they need to seamlessly merge into the local environment and avoid potentially uncomfortable situations. We take a proactive approach to risk management in Oman starting with a detailed questionnaire for all participants. The questionnaire enables us to address any medical or physiological needs before participants arrive in Oman and to provide specialised support to those who need it. Participants are housed in safe and secure residential areas, and all accommodation is vetted for security and safety. We may not be able to remove the risks on the roads, but our drivers are required to provide Royal Oman Police clearance, ensuring that our participants are transported as safely as possible. ​Particiapnts and staff are all made aware of our emergency procedures and protocols and participants are provided with mobile phones to enable us to contact them at all times. All mobiles are pre programmed with staff and emergency contact numbers. Although we make every effort to reduce the risks as much as possible, participants are also responsible for their own health, safety and security - using common sense and communicating needs are vital for a successful & enriching experience. 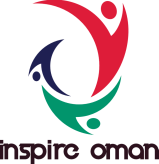 Inspire Oman maintains strong ties with local government and a number of embassies in Oman, providing our participants with valuable information and support on local, and regional security updates. Our extensive network in Oman ensures our participants are always easy to reach in case of an emergency. As one of the oldest independent states in the Middle East, Oman has a long history of safety and security. Oman recently scored a zero rating for terrorism in the Global Terrorism Index 2015 released by the Economics and Peace Institute. Oman also strictly regulates anything related to extremism and secretariat intolerance and signed the International Convention for the Suppression of the Financing of Terrorism in 2011. Often referred to the "Switzerland of the Middle East" Oman has an impressive history of brokering peace talks, negotiating hostage release from war torn neighbouring countries and ultimately making every effort to remain neutral whilst working towards building stability in the region. Perhaps one of the most striking sights in Oman is a 300 year old Hindu temple standing proud next to an equally ancient mosque, or standing in a mosque where all Muslims bow in prayer as equals irrespective of their different madhab. Oman offers the visitor a rare insight into what religious tolerance really looks like. Over and above the government's approach to peace, stability and tolerance, Omanis in general are recognised for their friendliness and generous hospitality. Foreigners are welcomed with genuine joy and platters of fruit and coffee.